BEIJING -- Volkswagen Group says it will not produce or sell any Audi cars with SAIC Motor Corp. until at least 2018, seeking first to strengthen ties with existing Audi partner China FAW Motor Corp.
VW announced in November a non-binding agreement with SAIC to discuss a partnership regarding Audi, which is the best-selling premium brand in China. Tying up with SAIC, China's largest automaker, could boost Audi's slowing sales as rival Mercedes-Benz makes ground in the market. 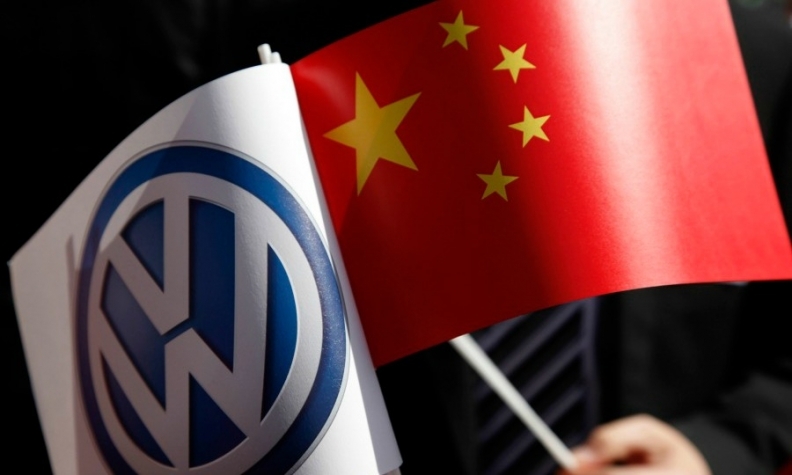 "No sales, no production, nothing this year," state-owned China Daily on Wednesday quoted VW China chief Jochem Heizmann as saying. A VW spokesman confirmed Heizmann's remarks, saying talks with SAIC were ongoing but that nothing "operational" would happen before 2018. The spokesman said the priorities were first to strengthen ties with FAW, including with a recently agreed 10-year joint plan, second to resolve concerns of existing Audi dealers, and last, to move forward with a cooperation with SAIC. "An agreement [with SAIC] could be reached in 2017 and there will be preparation with all the points for sales and production and so on," an Audi spokeswoman told Reuters. "As soon as there is an agreement, there will be measures to fulfill this agreement, but right now we are just in talks and we have no agreement." The spokeswoman said that while larger talks were ongoing, discussions about sales with SAIC were on hold until an agreement is reached resolving concerns of existing FAW dealers. Volkswagen gets a larger proportion of the proceeds from the 50-50 tie-up with SAIC than from its 40 percent stake in the venture with FAW. Joint ventures with VW and Audi have given FAW a lifeline as it struggles to create successful brands of its own. Existing dealers of Audi cars in a letter to the German firm last year said creating a new sales network would further damage an already tenuous situation as existing dealers suffer from slowing sales and generally operate at a loss. Audi said on Tuesday that its joint venture with FAW would introduce five more electric cars in China in the next five years, following on FAW and VW agreeing to a 10-year road map for the venture.